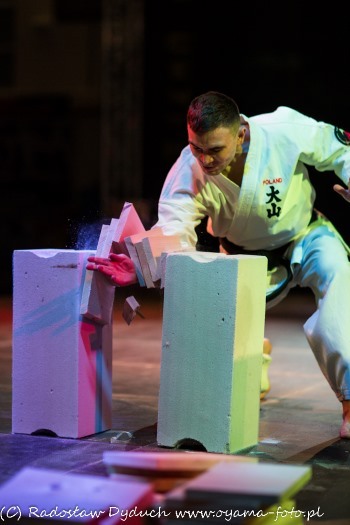 City of Nowogrod Bobrzanski hosted the 3rd Polish Open Oyama Cup-Memorial of Soshu Shigeru Oyama. Tournament was organized by Lubuskie Centrum Oyama Karate-Nowogrod Bobrzanski Section with its leaders Shihan Andrzej Tomialowicz 5th dan and Sensei Mateusz Landa 2nd dan. 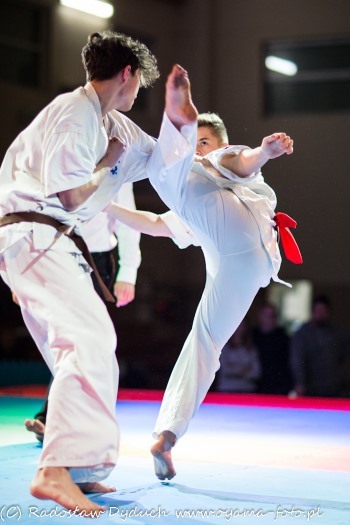 OYAMA CUP gathered 30 competitors from 23 clubs representing OYAMA Polish Karate Federation, German Oyama Karate Organization and Polish Kyokushin-Tezuka Group. The OYAMA CUP was conducted in the most prestigious knockdown category. As always tournament stood on a very high level. The competition was graced by the presence of the local officials and the President of OYAMA Polish Karate Federation - Hanshi Jan Dyduch 8th dan. The head referee of the OYAMA CUP was Shihan Rafal Majda 5th dan (Jelenia Gora). 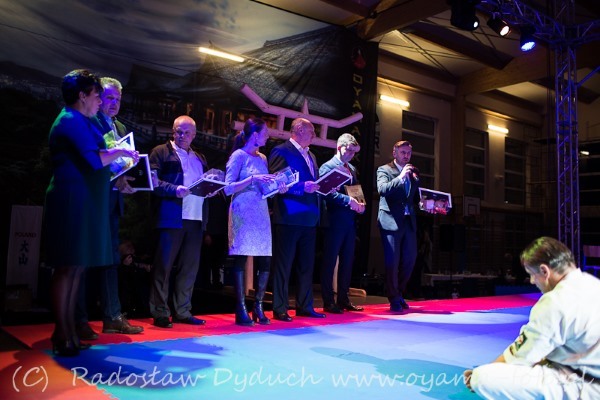 Hanshi Dyduch thanked the hosts on behalf of the OYAMA PKF for the invitation and presented Sensei Mateusz Landa with a special plaque on occasion of the Polish Cup in Nowogrod Bobrzanski. Numerous guest, partners of Lubuskie Centrum Oyama Karate, also received decorative plaques acknowledging their participation in OYAMA CUP. SINCERE CONGRATULATIONS TO THE ORGANIZERS AND ALL MEDAL WINNERS, OSU!